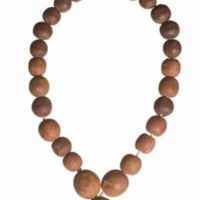 This rosary measures 270 mm in length— the diameters of the small, medium, and large beads measuring 10 mm, 12 mm, and 15 mm, respectively. 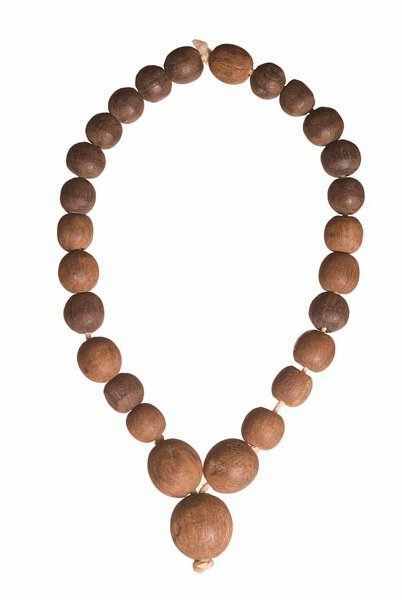 The beads of this rosary are made of wood, suggesting it may have belonged to someone of lower social standing. Its austere design and lack of adornments or pictorial forms further suggest that this rosary was formerly owned by a peasant. This rosary measures 270 mm in length— the diameters of the small, medium, and large beads measuring 10 mm, 12 mm, and 15 mm, respectively. “Rosary,” Medieval London, accessed April 22, 2019, http://medievallondon.ace.fordham.edu/items/show/24.